Poor sanitation and hygiene which is the problem behind the high death rate in rural Cambodia, causing illnesses like diarrhoea and dehydration. There is often no toilet or any soap for hand washing at home or in school. Mainly children are more likely than to touch unclean surfaces and particularly vulnerable to unhealthy environments. There are over 11.5 million Cambodians with 84% living in rural areas according to WHO/UNICEF statistics in 2011. And only 16% of them have access to adequate sanitation. Many rural households lack basic sanitation facilities and awareness of good hygiene practices is limited. When finances permit, CBAVC tries to build toilets for rural schools and families we construct water wells for. 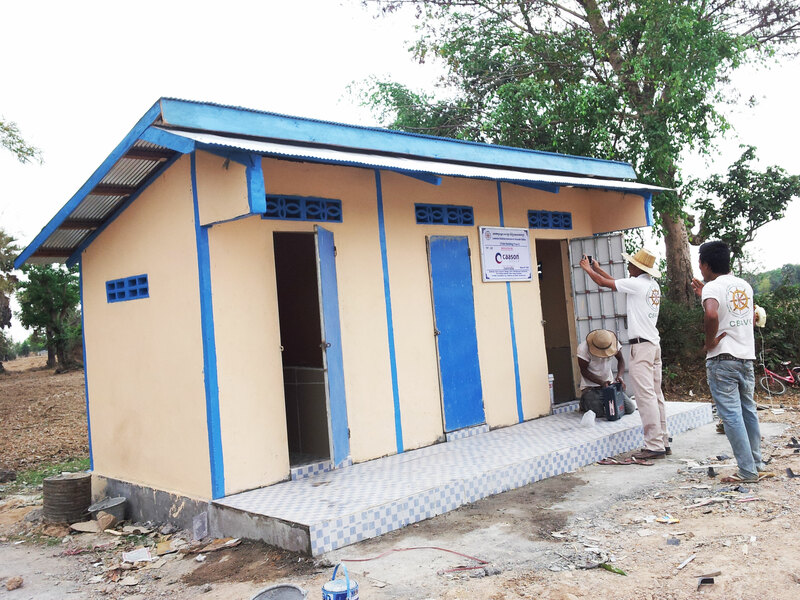 This facility increases sanitation, reduces health risks and increases dignity. Our team must first check there is available land to install a toilet and that is safe. If there is no available land on a site we talk to neighbors to see if a toilet can be put on adjacent land shared by several families. How long does it take to build a toilet? It usually takes one week to build each toilet with local builders whom participate activities in building. CBAVC also provide communities with basic education on health and hygiene related issues. 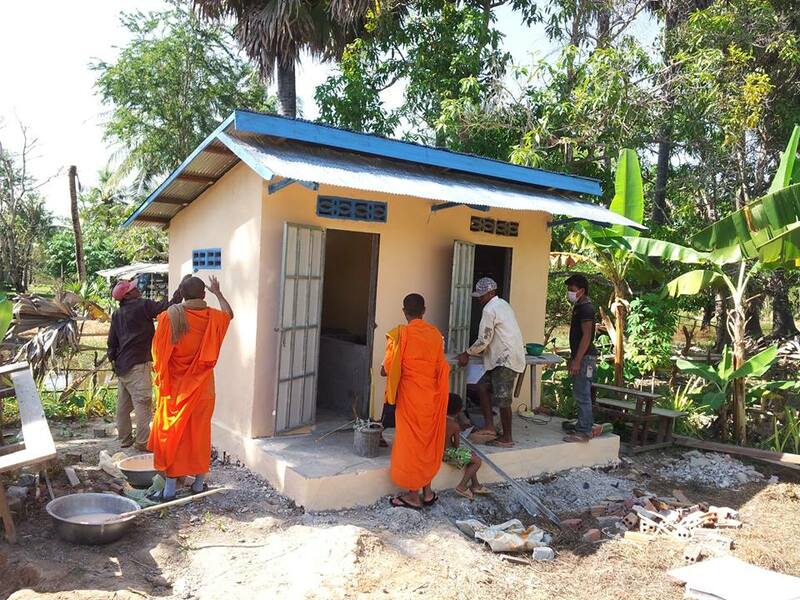 Our Khmer team is providing a training program of health and hygiene and is encouraged to relate the importance of good hygiene practices to community members and the members of a household in order to install a pump or an ablution block. The health and hygiene education program provide opinion from teachers, religious leaders or community leaders with advanced training in health and hygiene so that they can promote and sustain our work after we have finished a project in their community. 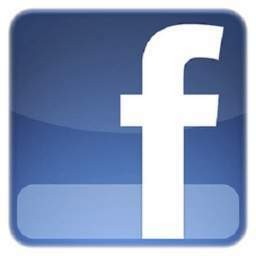 Please contact us to help improve lives and the living standards of rural Cambodians.